T’ is the loveliest ever was seen. Blooms just ONCE on a summer night. 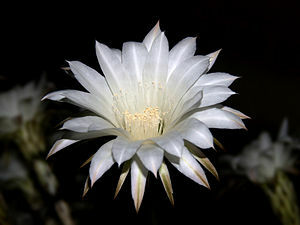 Have you found, under the moon’s light, any other surprising night bloomers? On Display: Autumn…colors changing…flowers richly blooming and slowly bidding goodbye before winter spreads its blanket of snow…leaves falling from trees…hay bales and glorious, rich pumpkins ready for display decorations and pumpkin pies! Have you recently smiled over an “On Display” moment? Join Ailsa as she hosts the Travel theme: with this week’s theme, On Display and do visit the following creative contributors: Enjoy! Wah!! I want to be selfish (stomping feet & arms flailing)…did you see MINE??? have you ever had such a moment? Join the fun over at Jakesprinter every week as he hosts, SUNDAY POST This week’s theme is People.